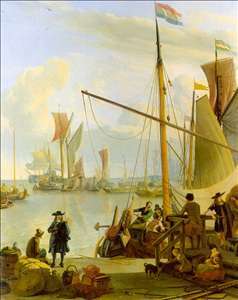 Dutch marine painter, active mainly in Amsterdam. 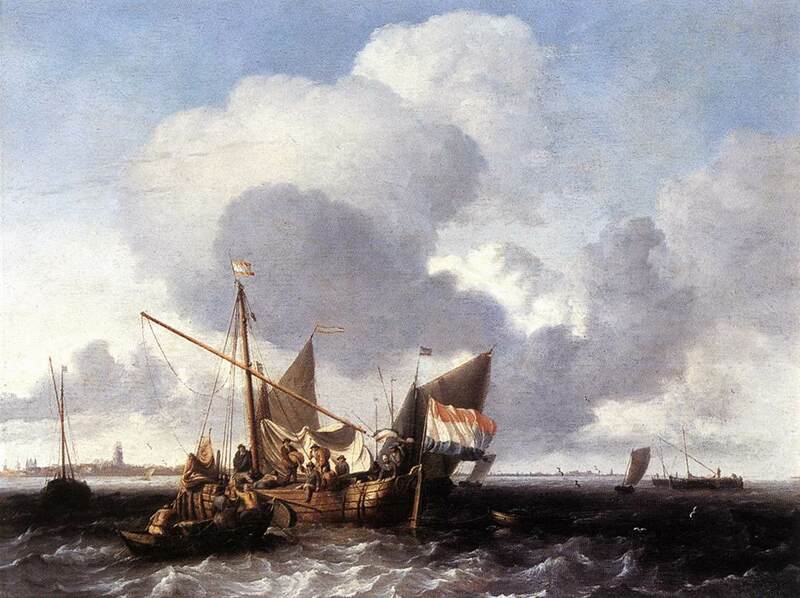 After the van de Veldes moved to England in 1672, Backhuysen became the most popular marine painter in Holland. 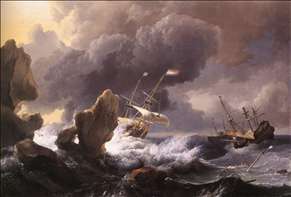 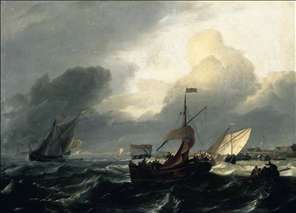 He captures the drama and movement of ships, but seldom achieves the poetic effects of either van de Velde the Younger or Jan van de Capelle. 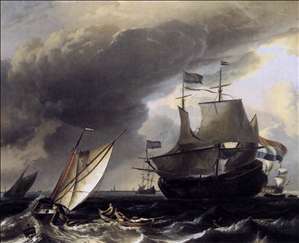 See more details about "Small Dutch Vessels"
See more details about "Ships in Distress off a Rocky Coast"
See more details about "Ships Running Aground in a Storm"
See more details about "Dutch Vessels on the Sea at Amsterdam"
See more details about "View from the Mussel Pier in Amsterdam"
See more details about "Ships on the Zuiderzee before the Fort of Naarden"